Blogger has now released mobile templates, which would make your blog look cool on your smartphones. The mobile templates will reformat your blog for mobile phones. It will even strip down the post content on your home page, so that its more readable and not too lengthy. This feature is still in draft and so you will have to login to http://draft.blogger.com to enable this new Feature. 2. Go to Settings > Email & Mobile and Select the Yes Option. 3. Now if you want to see a preview of how your blog will look on a mobile,(without actually applying the settings), then click the Mobile Preview Button. 4. Now Click on the Save Settings Button for the changes to take effect. 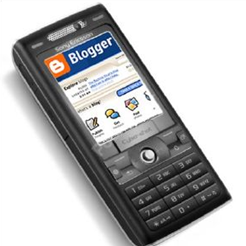 Now when someone visits your blog via a phone, he will be automatically redirected to the mobile version of your blog. Here are some previews of the mobile versions of some blogger blogs. If you have enabled Adsense ads on your blog, then Adsense mobile ads will be shown on the mobile version of your blog. If you are using a template from some designer, then the mobile template won’t be rendered in the same style as your original template. The ones using the Blogger Template Designer will be able to get a matching mobile template. This is still under draft. So lets hope that we will be able to add CSS rules to override the default Mobile Style, when this thing actually rolls out. Update: This Feature has now moved out of draft. So you will be able to set this from your regular dashboard. pls help my mobile site displays twice ...how to fix the problem and also I am waiting for custom template for my mobile blog...Is it Possible ? Regarding the Google snippet, how do I read just a Google Snippet version of my blogspot? It is very important to this response, I am having trouble positioning. 1. My Google Ads don't show up. (Code copied and pasted from Adsense, not an Adsense widget). 2. My header image does not show up on the mobile version like Blogger Buzz. I am not using Template Designer, but one I downloaded. Do you know of a way to solve the above problems? Every blog, really blog that host on blogger, should seing mobile version if they follow it mobile format url event though this features not applied yet. After they've made the mobile template, if you use draft.blogger.com, a notification will be popped out when you login to your draft blogger dashboard. For those who are using the old dashboard, I don't know if the notification pop out or not. Anyway, good job to Blogger.com team for such great thoughts! Though it's still in BETA. The template will be improved from time to time I guess. @Nastradamus - yea the notification is there only on the draft dashboard. It's very helpful to all bloggers, thanks for sharing this one. I've waited years for this feature! Thanks! Did not know about these tools. But now i will check them out see if they work for me. Same q. as mark, about the AdSense ads. Where can I get templates to use for mobile phone web site creation? This does not sync comment with my disqus and I want to remove it can you tell me how? i had do that but why not work?? ?